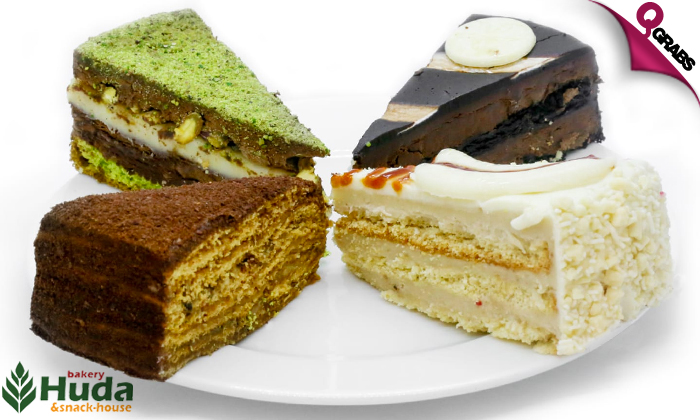 Bring along 6 or 12 pieces of delicious bites of cakes whose flavors will melt in your mouth. Choose from 7 flavors: pick all in one flavor or pick one of each flavor to complete your set. Up to 61% off bakes sooo..delicious! Al Huda was fashioned from a modest idea of offering the finest, authentic yet contemporary Lebanese cuisine to the discerning residents of Qatar. The first outlet was opened in 2007 on Salwa Road, Doha. Soon after, it earned a desirable reputation as Doha’s sort out destination for authentic home-style Lebanese food among its loyal guests. Shadowing the success of the original Huda Bakery, they are proud to offer a distinctive dining experience of contemporary Lebanese cuisine in the heart of Doha, where you will find the much loved Huda favorites, served in a rejuvenating and friendly ambience. Rediscover the taste of authentic Lebanese cuisine with friends and family for all occasions, where you’ll experience their friendly and professional service.